It's truly a heartbreaking thing to watch the last season of one of your most beloved shows, and a maybe an even more heartbreaking experience to watch your favorite actors star in different roles afterwards, proving they've moved on from their days on the series. 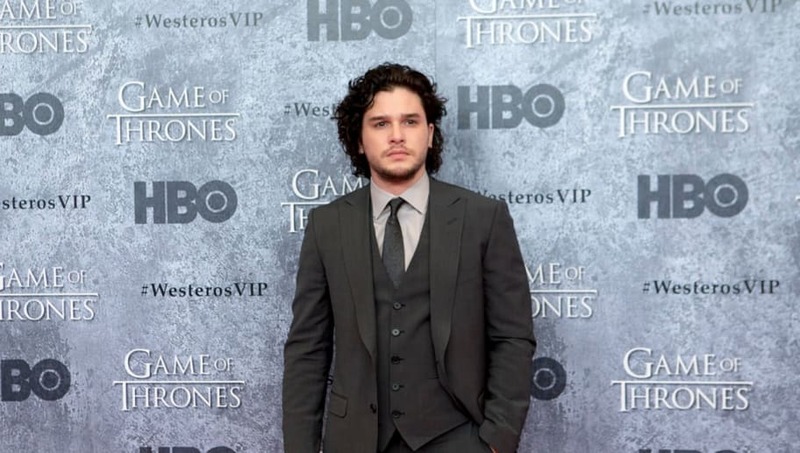 This is exactly what Jon Snow actor, Kit Harington, is looking forward to; life after Game of Thrones. Most actors get excited or sometimes have bittersweet feelings about finally stepping away from the characters that made them famous. This is no different for Harington, who says he's happy to move on from "broody" characters, after playing the iconic character in Thrones since 2011. "Way way back, I read this part for 'Game of Thrones' and it said how he's a quiet, sort of brooding, grumpy young man, and I thought, 'OK, well, I can probably try to do that.' ... That's the character you become sort of attached to and you find it's hard to break out of ... but that's what I'm loving about the moment because I'm in a play where I'm not playing a broody, quiet young man." Harington also expressed his feelings on the show ending by saying, "It will be a relief once it's done, but it will always be something I'm proud to talk about, it will always be something I love." Watch Harington play as Jon Snow for the final time in Thrones, with Season 8 premiering on April 14.